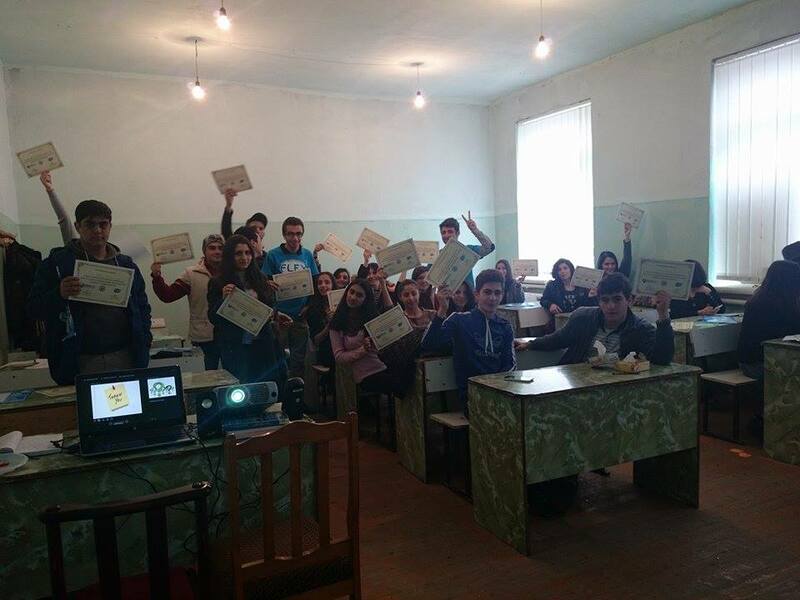 On November 28 and December 18, Arman Misakyan ’15 and Petros Mkheyan ’15 implemented a joint project titled ‘Skills to Community’ for forty students (aged 16-18) in Gyumri. The training took place at the Gyumri Academic Lyceum and the American Corner Gyumri, and was divided into two sections– Career Skills and Social Media Learning. Both partner organizations provided the venues and equipment for free. ‘The material was serious so I tried to find the best way to deliver it and make my career sessions as interesting as possible,’ says Petros Mkheyan. During his session students developed interview techniques, practiced compiling their first resumes and cover letters and learned the basics of successful professional communication. To make the classes more interactive Petros prepared two interviews, an engaging power point presentation, and even invited a guest speaker, FLEX alumna Gayane Aghabalyan ’15. In her presentation Gayane highlighted the most common questions asked during a job interview and explained how to deal with tricky interview questions. Arman Misakyan’s social media session was centered around various aspects of social media, its advantages, disadvantages, and emerging trends. Since different types of social media, such as social networks, blogs and v-Blogs, serve different professional and social purposes, the participants learned how to differentiate and use them most effectively. ‘My strategy was to engage students by asking them a lot of interesting questions. Very soon they got involved and started firing questions back at me. It was very fun,’ shares Arman. 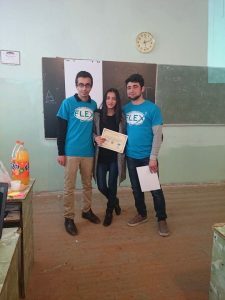 Both organizers found the knowledge received at the South Caucasus FLEX-Ability workshop extremely useful for their project and were excited to share it with young people of Gyumri.